The wearable market is projected to exceed 51 Billion dollars in revenue by 2022, therefore, if you are a product designer or engineer, it’s likely you are creating the next generation of wearable technology. At the very least, you may be feeling pressure to launch something in this space, but before you decide your design can’t be built due to the micro size constraints, allow us to share a micro injection molding resource perhaps you haven’t considered. Consumer expectations for smart fabrics, jewelry, and other wearable tech, is creating massive market opportunities. This valuable opportunity, however, also poses a big challenge. 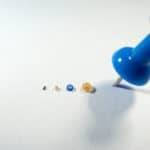 Product designers, likely still popping champagne from miniaturizing their company’s technology enough to fit into an ultra-thin smartphone or smart fitness tracker are now being asked to do the unthinkable: go smaller. Smart watches, fabrics, glasses, jewelry and just about any item you can currently wear on your body, will likely see a micro-sized smart cousin arrive on the scene within the next 4 years, meaning many hot products are either in their early conceptual stage or well within their design phase as you read this. Consumers demonstrate time and time again they want to carry less stuff in their pockets but benefit from more functionality, which is why wearable technology is so appealing. Adding more functionality while decreasing weight and product girth, however, seems like an impossible challenge. 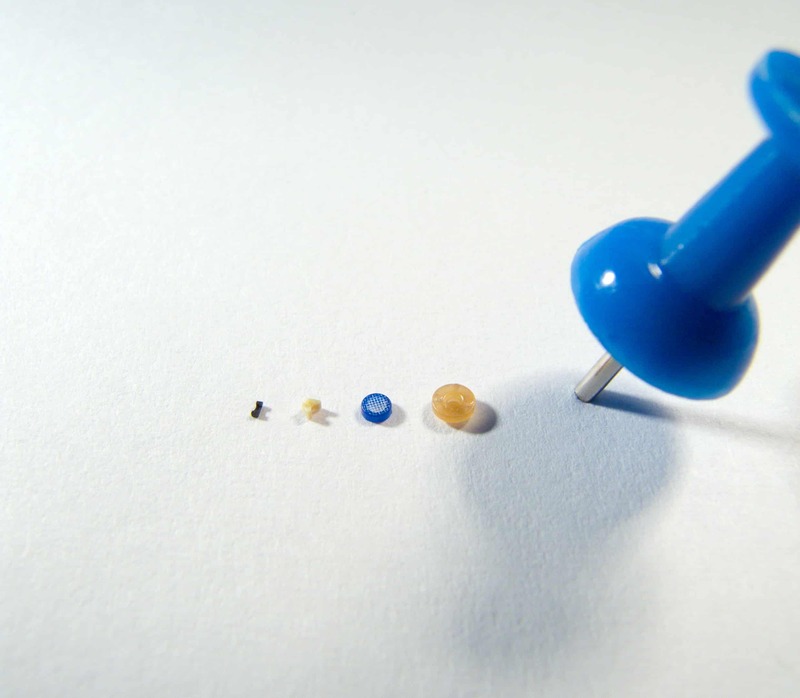 The wearable market needs a microscopic hero, and no, we’re not talking about Ant Man. We’re talking about the technological precision of micro injection molding. A unique micro injection molding process. 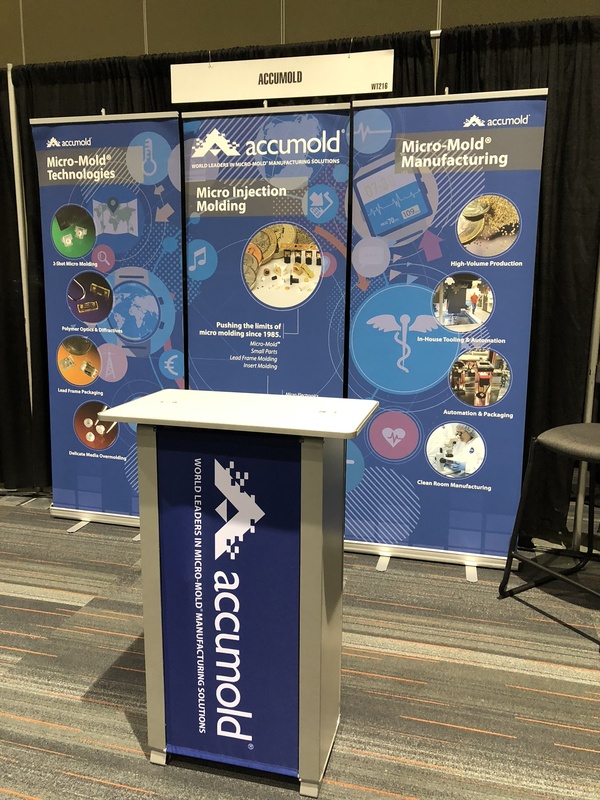 These microscopic size considerations are shifting the spotlight to Accumold’s unique micro injection mold technology which has been under development since the mid-80s. It’s a good thing we got an early start because these days rings and even earrings aren’t even the smallest packages being considered with some looking to mount caloric intake trackers on teeth. 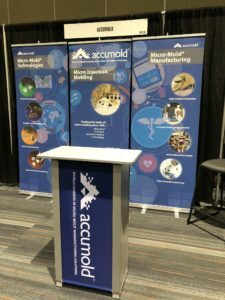 This month, Accumold will be setting up a hands-on demonstration at the WT Conference (North Hall, co-located with Semicon West) in San Francisco, a hotbed of wearable design and the software that powers it all. 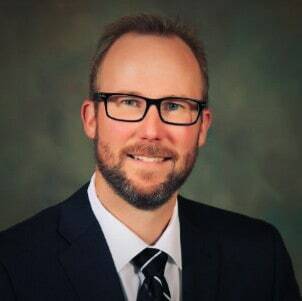 Accumold’s Vice President of Customer Strategy, Aaron Johnson will be available at the Moscone Center July 11-12 to meet one on one with engineers and designers. Johnson will be able to explain the technology, particular design considerations relating to thermoplastics, and most importantly, provide resources to engineers trying to problem solve and overcome design challenges.